Voici un document présentant, de manière complète, les pratiques et les outils utilisés par les présidents de conseils d’administration, à l’échelle internationale. Le rapport de cent pages, intitulé Commonalities, Différences, and Future Trend, publié sous l’égide de INSEAD Corporate Governance Initiative et de Ward Howell Talent Equity Institute Survey, par Stanislav Shekshnia et Veronika Zaviega, tente de cerner les exigences du rôle de « Chairman » ainsi que les conditions liées à l’efficacité des présidents de conseils dans un contexte mondial. Through interviews with professional chairs in different parts of the world, the report identifies and compares specific practices and instruments used in different countries giving insights into pertinent issues surrounding the work of the chair and development of future trends over the next decade. Relatively little is known about board chairs as most of their work is done behind closed doors. They deal with highly sensitive matters but rarely appear in public. They have no executive power but preside over the most powerful body in the organisation – the board of directors. Their performance is critically important for every company but they still need help to improve it. Yet they have no boss, no peers, no one to turn to for an advice. They learn mostly by trial and error. To respond to this paradox, INSEAD launched “Leading from the Chair”, a specialised program held twice a year for individuals from all over the world who are keen to understand what makes a good chair. We discovered how chairs from different countries face similar challenges and that they all seek practical ways to deal with them. Our goal is to help them to identify and adopt effective practices to perform what is a very demanding job. To provide hard data we launched a Global Chair Research Project, inviting more than 600 chairpersons to participate in a survey with a structured questionnaire. 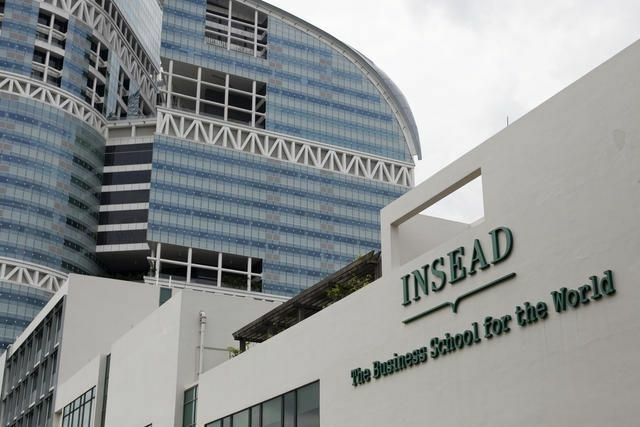 From the 132 responses received from 30 countries, we compiled the INSEAD Global Chair Survey 2015. Our research provided valuable insights into their demographics, motivation, background, remuneration and the challenges they encounter. As a next step we wanted to identify and compare specific practices and instruments used in different countries. A team of experts were assembled to conduct interviews with professional chairs in different parts of the world – Belgium, Denmark, Italy, the United Kingdom, Russia, Singapore, Switzerland, Denmark, and the Netherlands. This report presents our preliminary findings. As the research continues, we expect to publish results for 16 countries by the end of 2017. This publication can be read either as a whole or in chapters. Each country account can be read as a stand-alone without prior knowledge of what is said elsewhere. The introduction describes our methodology, some conceptual models which facilitate understanding of the work of a chair, as well as a summary of our major findings. The “Future Trends” section offers the research team’s view on how the chair’s role and function will evolve in the next decade. Vous pouvez télécharger le rapport en cliquant sur le lien suivant : Board Chairs’ Practices across Countries.